One of my favourite things about blogging and social media is meeting cool, cute, creative ladies from around the world. I've been lucky enough to do swaps with some of them and it's so much fun! Putting together swap packages is great. Finding candies and tea and little cards for the package makes me excited! And receiving my own swap package feels like Christmas to me! 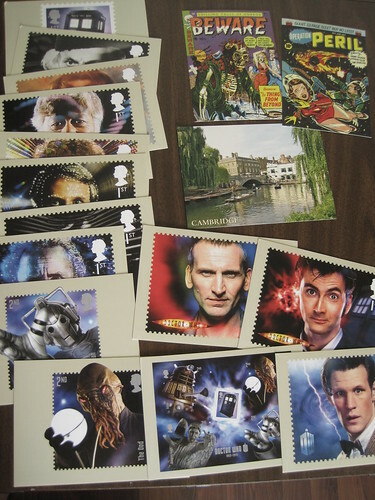 Recently, Claire from Claireabellemakes, sent me a picture on twitter of Doctor Who postcards she came across at the post office. I loved them! I don't even know where I could find something like that here. Doctor Who merchandise is confined to like two chain stores here outside of comic book shops. So we decided to do a swap! 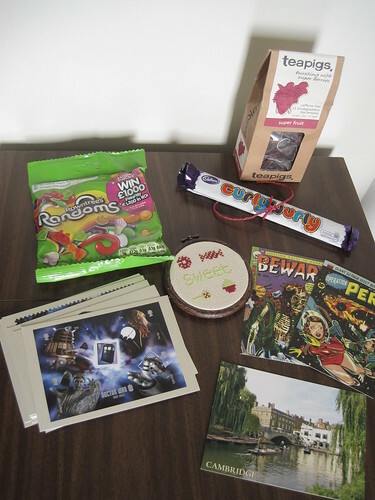 For what I sent Claire, you can see her post here with pictures of the goodies I sent. I tried to send a good mix of some of my favourite things. I basically jumped for joy when I opened my mail box to find Claire's package! I have come to the conclusion that Rowntree is my favourite thing I've ever experienced from the U.K (so far). 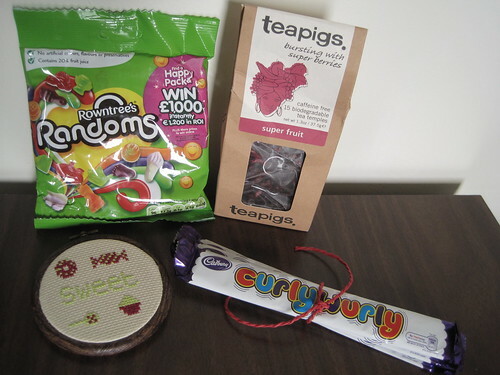 I did a swap last year with Katie and she sent me some Rowntree goodies. So good! The tea is delicious and I love the name. Who wouldn't enjoy tea by the name 'teapigs'?! I was a nice wife and gave Adam one of the Curly Wurly bars. But if I could hoard them, I would. They're the perfect bit of sweetness to have with a cup of coffee. 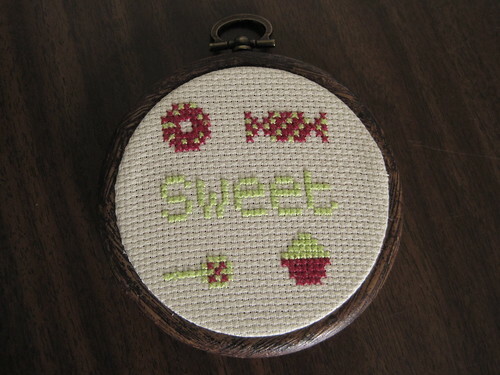 I love the cross-stitch that she sent. It's the perfect representation of me! I'm a sweets freak! It's leaning on my bookshelf right now but I need to put a nail in the wall to hang it up! And the postcards.... I was in awe when I saw how many there were! I'm in love. A few of them are staying with me for good. They may get hung up somewhere. But I'm so excited to have a big collection of postcards to use for future swaps. I LOVE them! 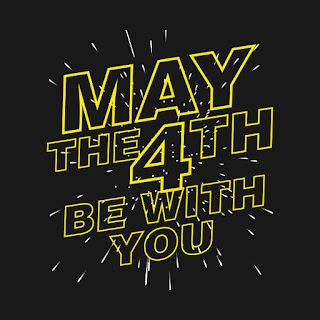 Oh, and the sci-fi ones are amazing! As you can see why, mail days are my favourite!